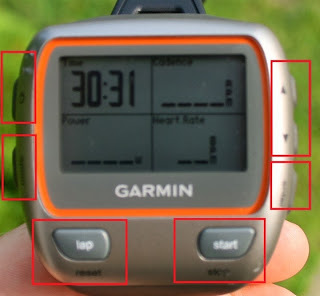 Musings of a maverick Bangalore runner: My 3rd Garmin unit is a Garmin 310 XT..
My 3rd Garmin unit is a Garmin 310 XT.. When I took to long distance running in 2001 I used a regular stop watch to track the run time. I used my car to measure the training route for distance. Based on the advice from Dr. Rajat Chauhan that a Heart rate monitor would help me achieve my potential as a runner both in terms of distance and pace I acquired the Garmin Forerunner 305 in July 2007. Once I started using the device I got addicted to it. While I stopped using the HRM after a couple of years I used the average pace and current pace settings of the device to pace my runs and achieve the timing targets. The first unit lasted a little under 3 years before the buttons wore out and the unit split into two in April 2010. I acquired my second Garmin 305 unit in July 2010. In July 2013,exactly 3 years later, the battery of the device started to die in about 2 hrs 15 minutes. Soon after within a few weeks the battery life reduced to an hour. I trained for the Airtel Hyderabad Marathon 2013 using a Garmin 305 borrowed from Ravi Venkatesam and raced with the same unit. 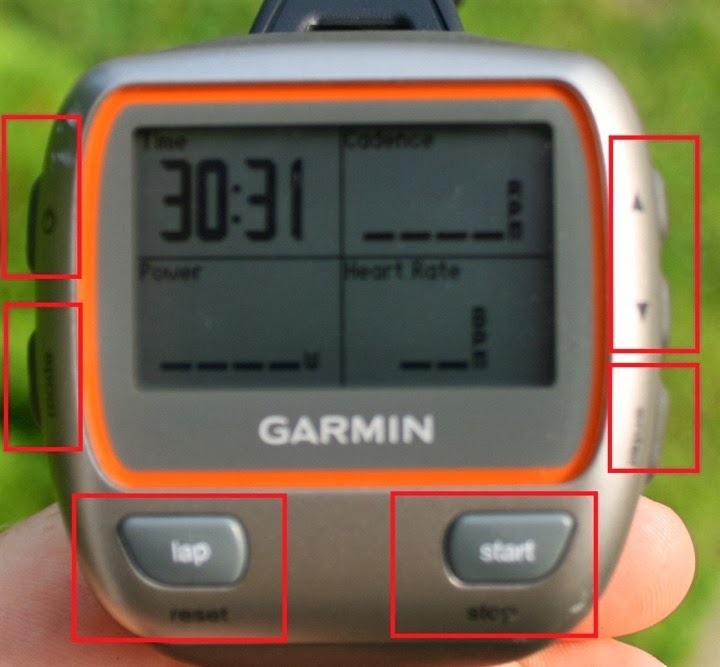 The Garmin 305 had been discontinued so I researched on the other Garmin units and narrowed it to either a Garmin 310XT or Garmin 610. After looking at the detailed reviews of DCRainmaker and the relative prices (US $ 230 versus US $399) I decided to go with the Garmin 310XT. Its similarity to the FR 305 and the 20 hour battery life was also attractive.Having used it for about 6 weeks now, since August 28th 2013, I am quite happy with it. It does seem to link with the GPS satellite faster than the Garmin 305. The setup was fairly straightforward very similar to the 305. Being able to specify lap distances in fraction of Kms is a very useful feature for interval training - in the 305 the lap distance can be either 1 Km or 1 mile only. The transfer of data from the Garmin unit to Garmin Training center or Garmin Connect using the ANT USB mini stick has been a bit of a struggle. I had to download the appropriate driver and install it on my PC. Even then the ANT agent often did not detect the Garmin device and I am having to exit the agent and/or switch the device on/off for the data to be transferred. This seems to be a known issue with the device. I am hoping the device was last for at least 3 years and the battery life will stay over 15 hours as I turn my focus to ultras after Boston 2014.